Let us first think about the differences between creating a questionnaire for respondents to complete themselves and one that an experienced interviewer uses to get answers from respondents. Questionnaires that are to be self-administered need to be logical, straightforward, and simple. Respondents will be put off if these questionnaires are overly-complex and difficult to read. Questionnaires that are administered by an interviewer tend to have skip features where respondents are jumped from a particular section to the next appropriate section according to the responses they give. A critical aspect of questionnaire paper writing is knowing the questions that need to be asked at the beginning of the questionnaire, mid-way through, and as it draws to a close. When writing a questionnaire, try and ensure the respondent is kept in a particular mindset during the different stages of completing it. If possible, write all questions concerning a specific topic before you move to your next topic. The easiest questions should be asked first. It is easy for respondents to answer fairly simple or easy questions since these do not need much contemplation or thinking about. We recommend that the questions in the middle of your questionnaire be more introspective or involved. Get ready to develop more thought-provoking questions. If you feel it is important to let respondents know who or what your study relates to, leave this to as near the end as possible. Sensitive-type questions should be left until last. These questions can concern income or race and they may alienate the respondent and put them off the whole process entirely. It does not take much thought to develop a set of questions and call the result a survey questionnaire. However, creating good custom written questionnaires that produce meaningful results requires considerable thought and effort. The length of a questionnaire is often determined by the objectives of its creator’s study. The objectives of certain questionnaires can be addressed in sets of questions that take a few minutes (e.g. 5 minutes) to answer while others may require a whole hour. Keep this simple principle in the forefront of your mind: participants will be willing to respond to self-administered questionnaires comprised of 40 pages if they are well-developed and easy enough to answer. However, they are likely to discard a questionnaire of only 2 pages in the event it is complex and cluttered. So you need help with writing a questionnaire and are wondering how or where you might get this help? Now that you have found the MarvelousEssays.org website, be assured it is reliable. 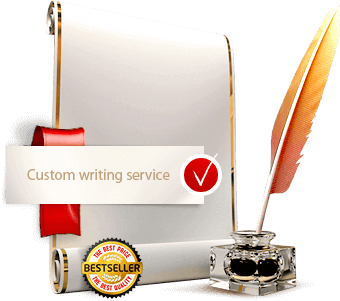 Our writing services are the finest quality and our prices are affordable. When you start working with our experts, you can leave all the problems associated with your various assignments, including questionnaires, behind you. Are you worried the writer we assign to create a questionnaire for you will not be sufficiently qualified for such an academic task? Our answer is a resounding yes they will be! Ask us to assist you with homework assignments and our competent writers will immediately know what needs to be done and be willing to get to work for you. Our writers have several years’ experience when it comes to writing all types of plagiarism-free texts, having already completed a wide variety of assignments. These experts are conversant with the many different assignment types that teachers give to students and they understand how to complete them. You may be sure that any questionnaire you order from us will be written in a professional manner. If it is the case you need a questionnaire written from scratch, this task will need some research and our writers will happily do this. If the assignment involves writing a full or part essay, our writers will do it. Irrespective of how much time is involved or how complex the task, you may be certain your assignment will be completed quickly, professionally, and in a manner that guarantees you the best possible grade. When it comes to providing questionnaire writing help, we put a great deal of energy into making it very easy for you to hire a suitable writer to complete the task. Any time you ask for our assistance, you should find the process only takes a few minutes. It involves filling out a form provided for the purpose of placing an order and paying for that order. When submitting your order, be sure to provide detailed instructions including relevant materials and your own comments. Providing as much information as possible increases the chance of you getting the exact completed product you need. Work will commence on your project once we receive payment. You may keep up-to-date on your order’s progress through your MarvelousEssays.org account. We provide the opportunity for you to stay in contact with your assigned writer for the duration of the writing process. Once we have written your questionnaire, we edit it and check that it is free of plagiarism. Upon request, our representatives can include a plagiarism report free-of-charge as proof that your paper is original. The final step is downloading your completed questionnaire from your MarvelousEssays.org account. Simply pay us to complete your questionnaires and rest easy! Achieving your educational goals is very easy when you choose MarvelousEssays.org!